While the Pulaski County Health Department has birth and death records on file at its location at 101 12th St in Crocker, MO, those records have limited dates of availability, with birth records dated from 1920 and death records dated from 1980. Those who wish to obtain copies of records from beyond that scope of availability will need to contact the State Vital Records Department which is under the jurisdiction of the Missouri Department of Health and Senior Services. Interested individuals can call the department at (573) 751-6387 or email at VitalRecordsInfo@health.mo.gov with any further questions or instructions on how to apply. 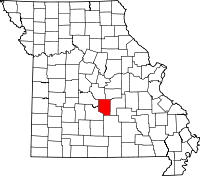 Missouri limits the distribution of birth records to legal representatives or guardians of the original recipient, members of the immediate family, or the original recipient themselves. Applications must be notarized prior to submission, and the applicable fees must be included, as well.